For some, winning the world elite men’s road race championship is like flipping coins, because there are so many variables that have to come together to pull it off. 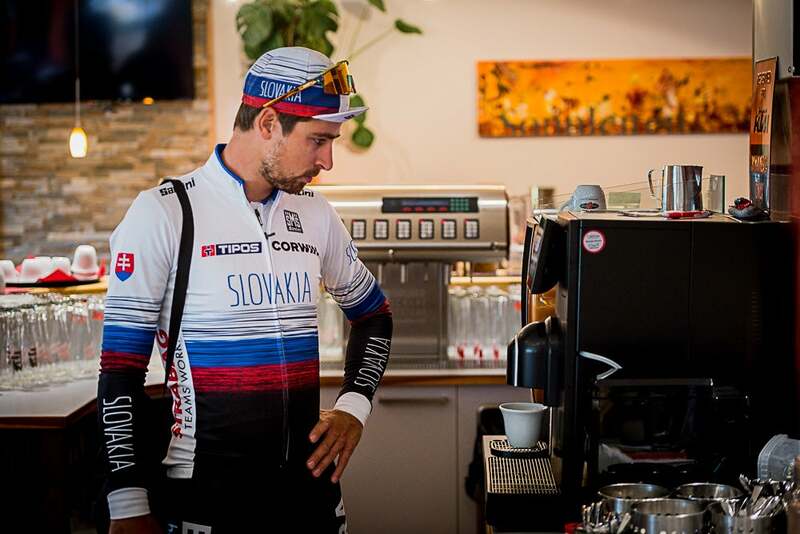 Three-time defending champion Peter Sagan, however, prefers to flip steaks barely a day away from his outrageous attempt to win the rainbow jersey for an unprecedented fourth consecutive time. It would be hard to imagine any cyclist more relaxed than Sagan before this momentous challenge. 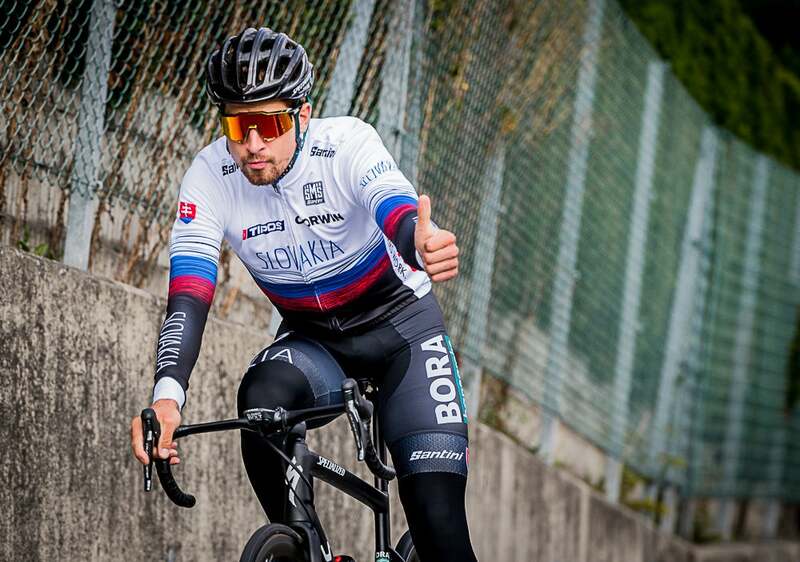 While many of his likely challengers this Sunday arrived in Innsbruck early in the week, Sagan arrived only on Friday evening. Landing in nearby Munich, Germany, he immediately drove to a top facility of his team’s title sponsor, Bora, on the Germany-Austria border for a press conference—and a little cooking lesson. 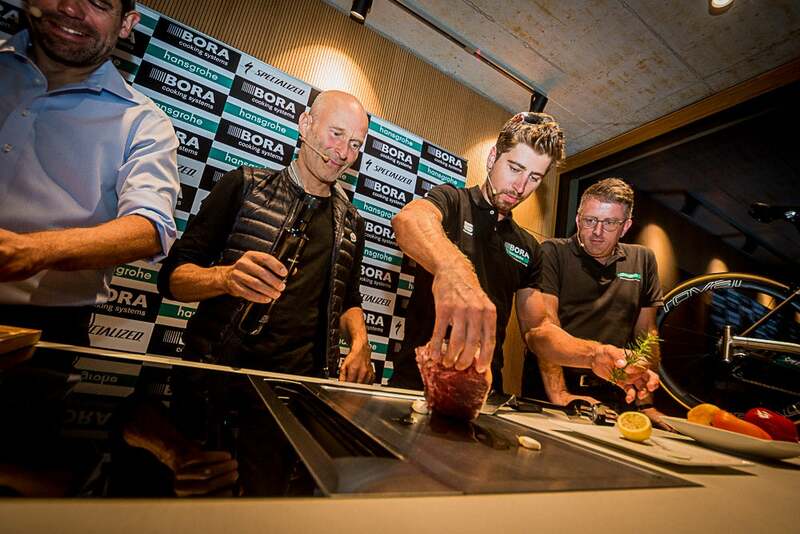 It was here where the Bora-Hansgrohe team announced that Sagan has extended his contract through 2021; and it was here where he demonstrated his skills as a chef, grilling up a bountiful steak on one of Bora’s most high-tech kitchen ranges. What better way to keep your mind off that upcoming bike race! 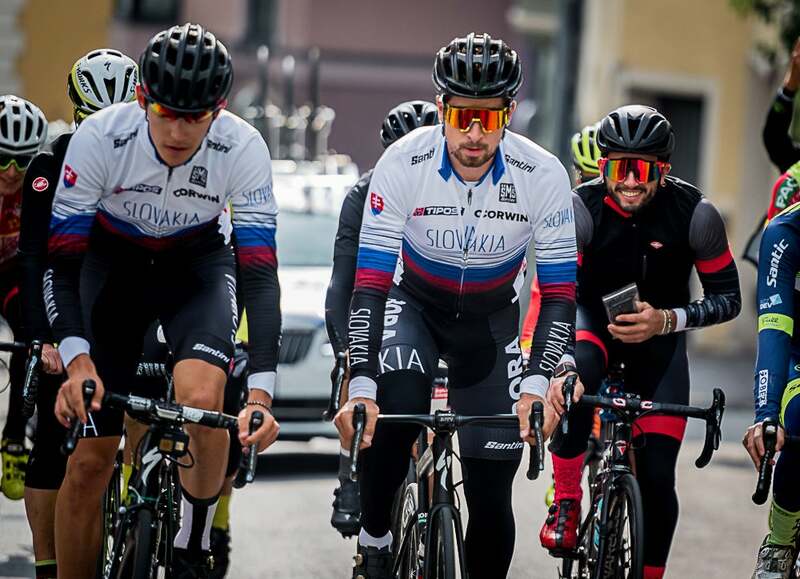 His sights got more focused on Saturday morning when he suited up in his Slovakia national team uniform and prepared for a ride around the hilly final circuit of these 2018 UCI world road championships—which are considered the most grueling in decades, with a final loop that features a 3-kilometer climb boasting some 25-plus-percent pitches. On paper, such a grueling finale does not favor a classics sprinter like Sagan; but the 28-year-old is not your typical road sprinter. Just look at the three world titles he has won. He stormed to his first in 2015 with a blistering attack on the final climb in Richmond. Virginia. A year later, he won a field sprint in Doha, Qatar, against many of the world’s top sprinters. And last year in Bergen, Norway, he took a narrow victory in a group sprint on a hilly course. Such versatility always keeps his opponents guessing. And while some feel that this year’s course is simply too hard, no one it seems wants to make the mistake of counting him out. 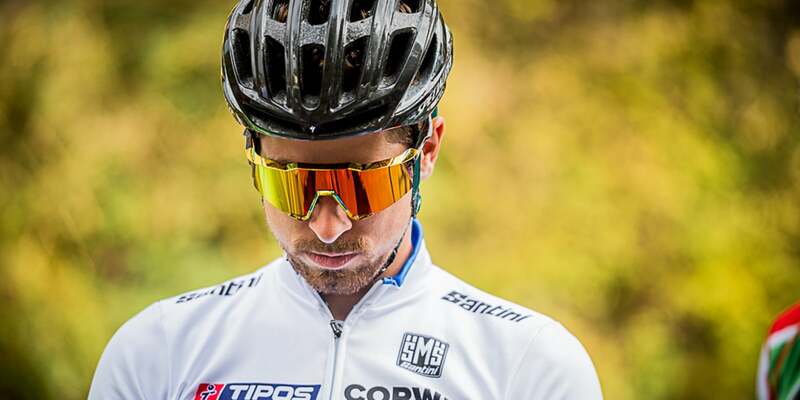 In addition, Sagan has prepared for this weekend’s title defense like no other year. For the first time he rode two grand tours back to back, completing the Vuelta a España on the heels of the Tour de France. Little matter that he struggled in the final days of the Tour after one of the worst crashes he’s ever experienced—he understood that in order to win a fourth worlds he would have to be in the best climbing shape of his career. And Sznye likes what he sees. A 16-year professional racer, Sznye lives near Sagan’s home in Monaco and rides with him almost daily there. 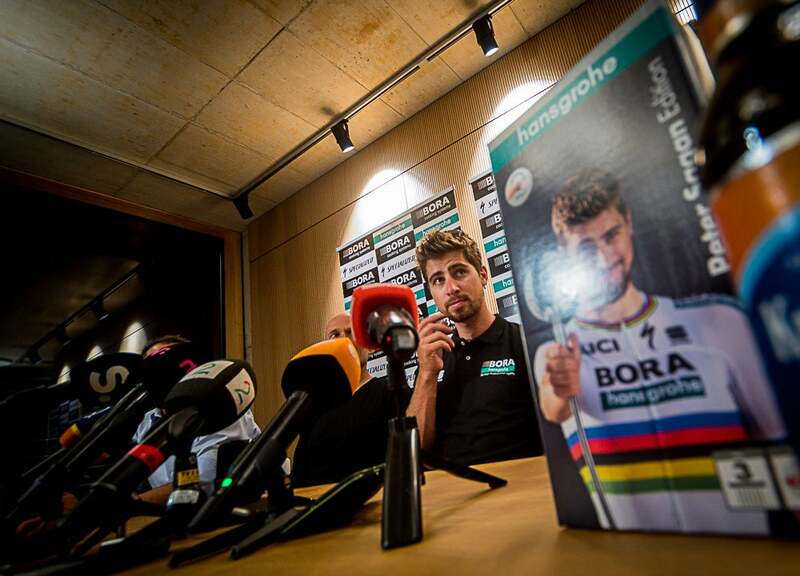 Sagan’s Spanish team director Patxi Vila writes the training program, but it is Sznye who oversees their execution. 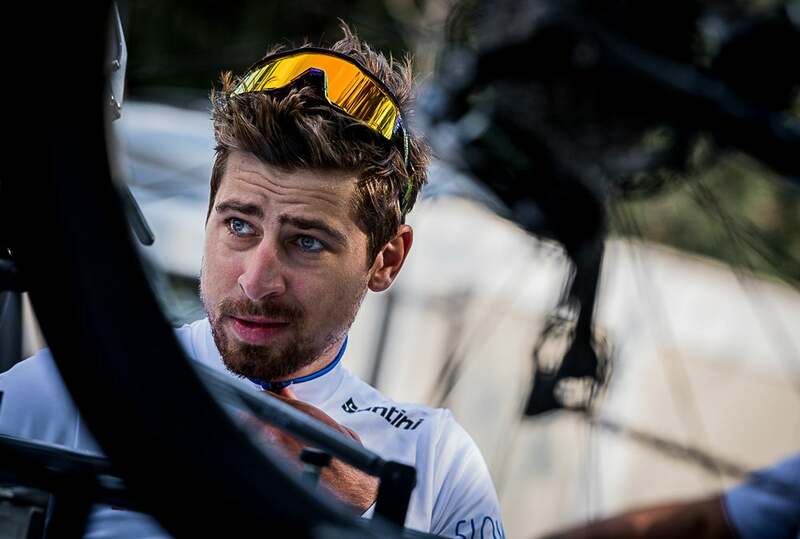 This past Thursday, he accompanied Sagan on a six-hour training ride. And he was impressed by Sagan’s condition. 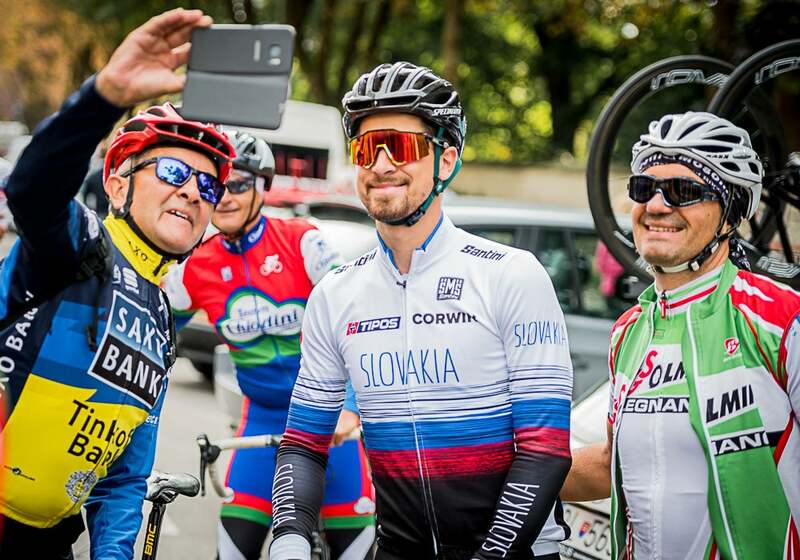 Going up that final climb, Sagan rode with his brother Juraj and other members of the Slovakian national team. And he seemed little bothered by the many cyclists that tried to stay with him just long enough to grab a selfie. He was simply focused on his own recon.